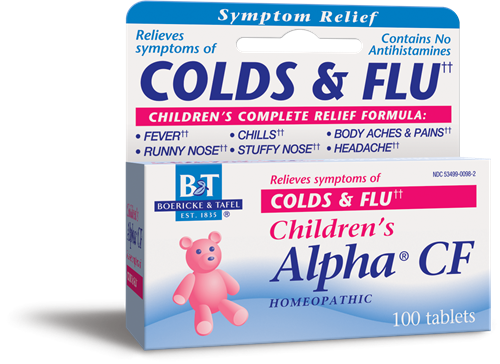 Children’s Alpha CF Tablets / 100 - Nature's Way®. Tablets may be chewed, or placed on the child's tongue and allowed to dissolve or crushed in water in a teaspoon. Children 6 to 12 years of age: At first sign of a cold or flu, take 3 tablets every hour; as symptoms improve 3 tablets every 3 hours, then 3 times a day until well. Children 2 to 5 years of age: 2 tablets as above.